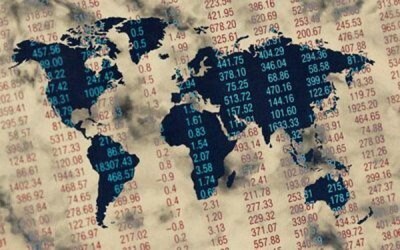 Global stock markets formally entered a bear market Wednesday, as the MSCI All-Country World Index fell by 1.3 percent, with the index down 20 percent from its high last May. Yesterday, after further losses in Asia, European markets closed down, with the German DAX falling by nearly 5 percent, the Spanish IBEX down by nearly 5 percent, and the US DOW off by 250 points. The selloff accelerated in early trading Friday, with the Japanese Nikkei falling by more than 5 percent at the opening bell. The stock sell-off both reflected and helped catalyze a broader crisis of confidence in financial markets, amid a rapid deceleration of the global economy, a sell-off in emerging market debt, a downward spiral in commodities prices, and the seeming perplexity of central banks as to how to deal with a renewed outbreak of panic eight years after the 2008 financial crisis. The global selloff continued in the US after congressional testimony by Federal Reserve chairwoman Janet Yellen, who made no explicit statement that the Federal Reserve would change its plans to continue raising the benchmark federal funds rate over the next year. Yellen did, however, say that the Federal Reserve would not rule out cutting interest rates below zero if economic conditions continued to deteriorate. If this were to happen, the Fed would follow the Bank of Japan, which late last month announced a surprise interest rate cut, and Sweden, which Thursday cut its benchmark interest rate further into negative territory. These moves, coupled with a generalized flight to safety, have led to a massive jump in the proportion of bonds with a negative yield. According to figures from JPMorgan, the share of government bonds with a negative yield, once only considered a theoretical possibility, have reached 25 percent. All told, negatively-yielding assets have hit $5.5 trillion worldwide. The deepening sell-off, and the seeming inability of central banks to formulate any coherent response to the panic, have triggered a general crisis of confidence, not only in the health of the financial system, but in the ability of central banks and governments to offset the crisis through radically expansionary monetary policy: their panacea for every economic ill since 2008. In other words, the panicked sell-off expresses growing fears in financial markets that the vast quantities of cash pumped into the financial system since 2008 have done nothing to improve its underlying health, and may have sown the seeds for a crash on an even greater scale. This time, however, with central banks having expended so much of their “ammunition” on seeking to keep financial assets afloat for years, there are increasing fears that they will be powerless to respond to a new financial panic. In particular, the explosive growth in negative-yielding financial assets means that banks, whose core business involves borrowing long-term and lending short-term, will be put under even further financial stress if central banks continue to lower interest rates. These fears have hammered the banking sector. The S&P 500 financials index has dropped by 18 percent since the start of the year, making banking by far the worst-affected sector, facing an even more rapid selloff rate than that of the beleaguered energy and transport industries. And that is saying something. The energy and materials sectors have seen share value declines of over 31 percent over the past year, with “companies going Chapter 11 or trading at 50 cents on the dollar,” one portfolio manager told Bloomberg. Meanwhile the global shipping and transport sector is facing business conditions that, in the words of Nils Andersen, the CEO of Maersk, the largest transportation company in the world, are “worse than in 2008.” The company’s share value, which was down by more than 50 percent in the past year, fell a further 8 percent Wednesday. Meanwhile the prospects that US economic growth would somehow offset the slump in global output receded further this week, as US corporations posted sharply reduced earnings and outlooks. Earnings for S&P 500 companies fell 4.5 percent in the fourth quarter, and are expected to fall 6.3 percent this quarter. “The general feeling is that the U.S. economy is nearing a peak and there is not much left as far as trends to be talked about,” one hedge fund manager told Reuters. The fall-off in real economic activity can be expected to further dampen oil prices, which have hit 13-year lows of $27 per barrel, and has triggered a further round of sell-offs in commodity related stocks, with “investors … liquidating because they need the cash,” as one chief investment officer told Reuters. Eight years since the 2008 financial crash, it is clear that the capitalist governments and central banks have been unable to address any of its underlying causes. Instead, they have poured cash into financial markets, triggering a feedback loop of speculation and parasitism in the form of mergers and consolidations, which have sharply cut back production and led to mass layoffs. The end result has been only a further acceleration of the growth of social inequality, with the fantastic enrichment of the parasitic financial oligarchy financed by the wholesale destruction of productive activity and the vast impoverishment of the working class. In other words, the conditions that gave rise to the 2008 financial crisis have been reproduced once again in even sharper form, and risk a similar outcome.